The show took place at the 20,000 capacity Veterans United Home Loans Amphitheater. 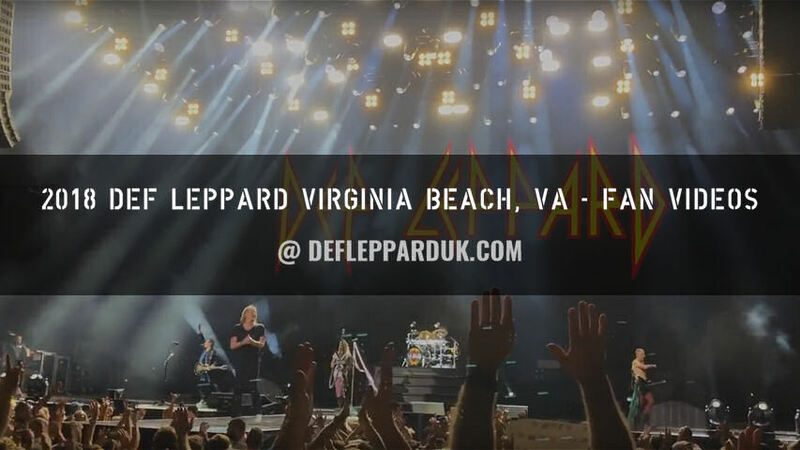 The band last played Virginia Beach on 3rd July 2015 on the World Tour 2015. The 11th show the band have played in this city with all of them played at this venue under four different names. The first visit here was in July 1996 on the Slang tour when the venue was known as the GTE Virginia Beach Amphitheatre. They would return under the same venue name in September 2000 in the last month of the Euphoria tour. 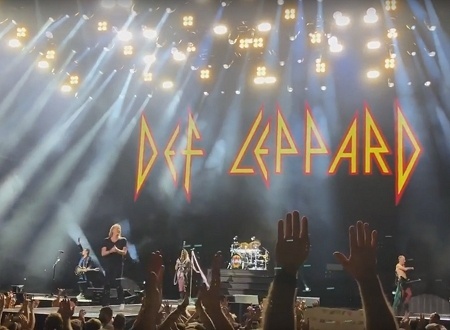 .The first of four shows at the Verizon Wireless Amphitheater took place in October 2005 on the first Rock Of Ages tour. Further shows then took place in 2006 (with Journey), 2007 and 2009. The first of four shows under the name of Farm Bureau Live at Virginia Beach took place in June 2011 on the Mirrorball tour. They returned again in August 2012, August 2014 and for the last show under this venue name in July 2015. Last night's show was only the amphitheatre show of the 2018 tour. 'When Love & Hate Collide' and 'Man Enough' were played for the first time in Virginia Beach. "I think this is gig 31 of this particular tour [35 actually Joe...] and I've gotta say. By far the hottest f**king thing we've done so far. I don't know how you live here. It's f**king impossible. And I didn't swallow one f**king bug all night which is amazing." Anyway look at this Virginia Beach. All the way to the f**king back .Look at it!. Looking good. Sounding good. You've been so loud tonight it's been unbelievable. Really f**king loud. We thank you for that. However, do you think you can make a little bit more noise maybe?. A little bit more. For the boy at the back. Stand up Rick Allen!. As ever he will introduce this one for ya." "Virginia Beach, Virginia. Thanks for having us. Thanks for coming. Thanks for being here. We'll see you guys next time thank you. Goodnight!." The next show takes place on 15th August in Columbia, SC. Played for the first time in Virginia Beach. Virginia Beach, VA we have a record player in the dressing room now and I've been collecting used vinyl from various record stores around the country. Classic albums from the 60's, 70's and 80's so far. I've got to say it's a lot of fun.